It’s FabFilter’s 15 year anniversary, so they’re offering 40% off all their plugins until the end of April. Don’t miss out. In this tutorial video, Merlyn demos how to use delay in your sound design with FabFilter’s AMAZING Timeless 2 delay plugin. You’ll see how advanced delay can add a lot of character, width and special effects to your sounds. Timeless does many things that you wouldn’t normally expect a delay to do. If you want to see how to push a delay to it’s limits, join us and tune in for this one! 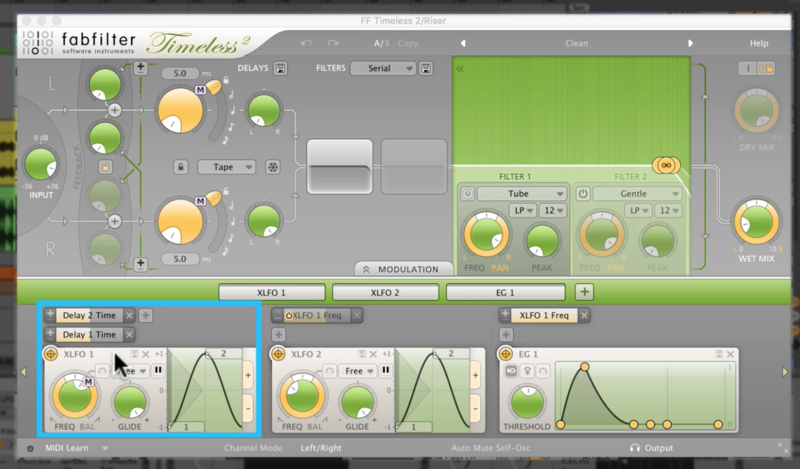 As Merlyn demonstrates, FabFilter Timeless 2 is like a swiss army knife of delays. By adding in some delay time modulation to his XLFOs left and right channels he’s built a quick chorus effect. This does a great job of creating some dimension to his crunchy sounding bass track. In true Silva fashion, Merlyn has created more interest in his bass by glitching it up further using a second instance of Timeless 2. 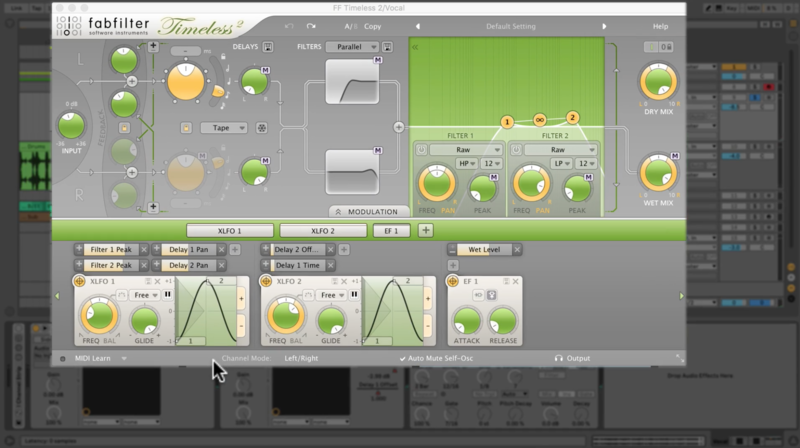 This instance of Timeless has been tastefully programmed to modulate various delay parameters in a stepped sequence to keep the sound of his bass patch shifting and evolving. 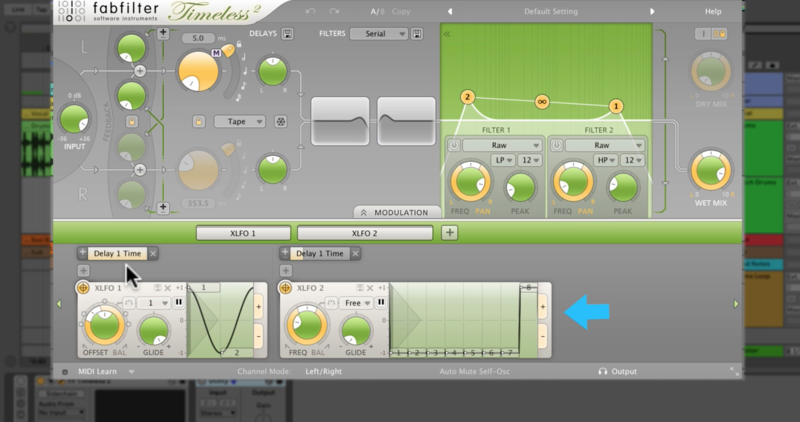 FabFilter Timeless 2’s ability to create unlimited routing combinations makes it easy to sculpt effects that add interest to your instrument without muddying up your mix. For processing the vocals in this example, Merlyn routed his wet signal to duck down while the dry signal crossed a threshold. This keeps the chorusing effect from interfering with the clarity of the vocal. By using an XLFO to modulate the delay time, you can create a shifting pulse from a held tone. Merlyn has also used an envelope generator to slightly speed up the delay time every time the note is pressed. 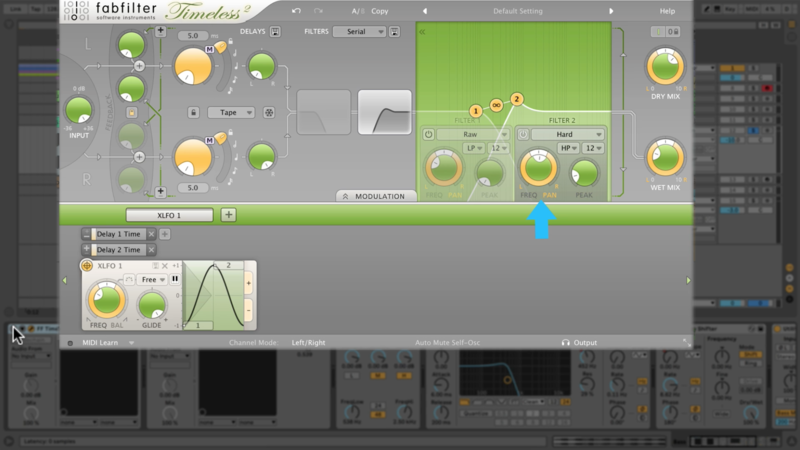 By driving the input on the plugin you can saturate the signal and create a nice crunchy effect. In this example, Merlyn uses an XLFO to modulate the delay time to create a crazy repitch sound. He also uses a second XLFO to add more glitchy timeshifting effects but only at the end of every 8 bars.